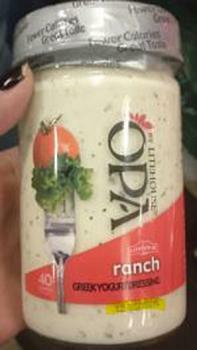 Litehouse Foods is recalling a limited quantity of its OPA Ranch Greek yogurt dressing. No adverse reactions due to consumption of the recalled product have been reported. The recall involves a total of 742 cases of 11-oz. glass bottles with a “Best By” date of October 24, 2017 on the top of the bottle and the lot code of 13948 6/11fl LH/OPA RANCH. The recalled product was shipped to retailers nationwide. Consumers with questions may contact Litehouse customer service at 1-800.669.3169 or online at www.litehousefoods.com.